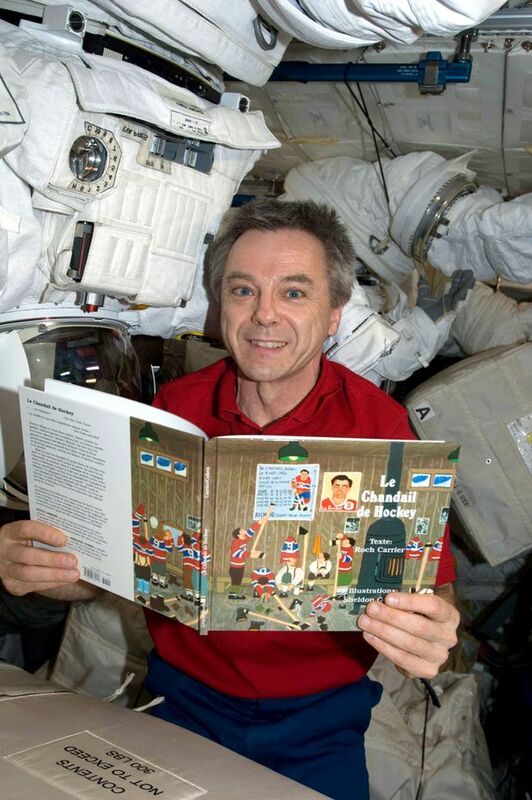 Canadian astronaut Robert Thirsk reading French and English versions of The Hockey Sweater aboard the International Space Station in 2009. He was told to pack light – though weight would be irrelevant for the 187 days Robert Thirsk would be spending aboard the International Space Station. The issue, rather, was space – so little individual space in limitless outer space – and the Canadian astronaut would have to choose carefully when it came to personal items he would take along on his record-setting 2009 journey. He took some photographs and various mementos of family and friends, some departed, and then he added two books: the French and English versions of Roch Carrier’s The Hockey Sweater. Thirsk, five years removed from his life as an astronaut and most recently chancellor of the University of Calgary, now lives in semi-retirement in Ottawa, where Friday evening he and wife Brenda attended the opening night of the National Arts Centre’s musical adapted from Carrier’s beloved children’s book. The production runs through Dec. 23. The choice of outer-space reading material, Thirsk says, was a no-brainer. He wanted to send photographs back of him with the books so that schoolchildren all over Canada would be inspired to read – and where better to begin than with the Thirsk family favourite? Thirsk grew up in British Columbia, loving the Montreal Canadiens and idolizing Jean Béliveau just as all the boys in Carrier’s book idolized the earlier Montreal star, Maurice (Rocket) Richard. The Hockey Sweater, under a different title, began life as a radio broadcast, then as but one tale in a collection of short stories. Soon it became a much-awarded National Film Board animated feature, then a stand-alone illustrated children’s book that has, in its various printings and permutations, sold hundreds of thousands of copies. It has had orchestral treatment with Carrier and another Montreal Canadiens legend, Ken Dryden, sharing narration. For more than a decade a snippet of the story graced the back of the Canadian five-dollar bill. Carrier, now 81, remains astonished at the success and longevity of his little story. The genesis of the story is almost comical. It was the late 1970s and he was a young, published author – his first novel, La Guerre, Yes Sir! came out in 1968 and had been an instant bestseller – who was, he now thinks in retrospect, a bit too full of himself. But he also had a young family to feed, as well as car payments to meet. When the CBC called from Toronto offering him $150 to pen a short essay for the morning radio program, he leapt at the opportunity. “This was when the topic of the moment was ‘What does Quebec want?’ ” he remembers. “They wanted something on that. I thought about it for a while but then I thought I couldn’t do what so many others were doing. I was thinking, ‘I can’t do that – I am too much an important writer.’ "
On Friday he sat down to write, working in his first language. He titled it Une abominable feuille d’érable sur la glace (An abominable maple leaf on the ice) and it would only become The Hockey Sweater (Le chandail de hockey) years later. On Saturday, he took it to his long-time translator, Sheila Fischman, who spent much of the day turning Carrier’s French into English. On Sunday they had to record it in Montreal. Carrier was nervous, both for the story and, even more so, for his English. He asked Fischman to accompany him to the CBC studio in Montreal. Fischman, who herself came from a very small rural community, Elgin, in southeastern Ontario, thinks she knows why the story has not only survived but is more treasured today than ever. One of those listening to that Monday morning broadcast was Marrin Canell, a young filmmaker with the National Film Board. He thought it would make an ideal animated short. A couple of animators were approached but showed little interest. Another filmmaker, Wolf Koenig, suggested Canell check out a young illustrator named Sheldon Cohen, who had been working on very short, usually no more than 30 seconds long, features. Cohen, who had attended McGill University with the intention of becoming a dentist, was different from other illustrators in that he had no classical art training. “’Primitive’ is kind of my middle name,” he says. An arrangement was made to have Cohen meet Carrier and to come with some sketches of what he might do with the story. He decided to draw the mother opening the package from Eaton’s and revealing the Maple Leafs sweater to a crying young Roch. “I was so nervous the night before the meeting I couldn’t sleep,” Cohen remembers. But there was no reason for concern. Carrier loved the simplicity of the art. The two of them travelled to the little village, Sainte-Justine, where the story is set. They visited the church and Carrier’s boyhood home, where his elderly mother was still living. Cohen’s work on the NFB film – which entailed some 10,000 drawings – and on the 13 scenes depicted in the illustrated book were pivotal to the growing popularity of the story. 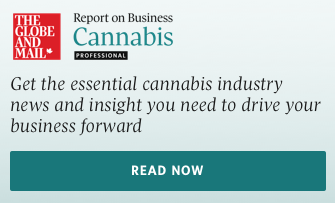 Its appeal to children is obvious, but it has also come to mean a great deal to adults. “I was giving a talk in a library in Manitoba, maybe around 1992,” Carrier recalls. “And there was this man at the back of room. He was big and strong, looked like a truck driver or construction worker. And he seemed very nervous, agitated. I thought maybe he wanted to ask me a question. But he never asked a question. Two years ago in Montreal, The Hockey Sweater began its move to the stage. The Segal Centre for Performing Arts is now sending it off to Ottawa with the help of the NAC’s National Creation Fund, which has invested $200,000 in the production. Former professional ballerina Donna Feore directs and choreographs the musical, with book and lyrics by Emil Sher and music and lyrics by Jonathan Monro. The cast of 17 features eight 11- and 12-year-old kids. Carrier regularly attended rehearsals in the lead-up to the Ottawa production. Carrier, however, says there is another, far more personal reason for him to be there, whether The Hockey Sweater is a short story, an animated film, an illustrated children’s book or, now, a full-blown musical in the country’s capital. “It’s important to me,” he says. “It’s my revenge, you see. I was not a very good hockey player. I wasn’t going to be another Rocket Richard or anything. That was my one dream. My other dream was to sing in the church choir but I could never make the choir. I get to perform my little story with an orchestra. Now it’s a musical. Is the Ottawa Senators relocation plan on the verge of collapse?